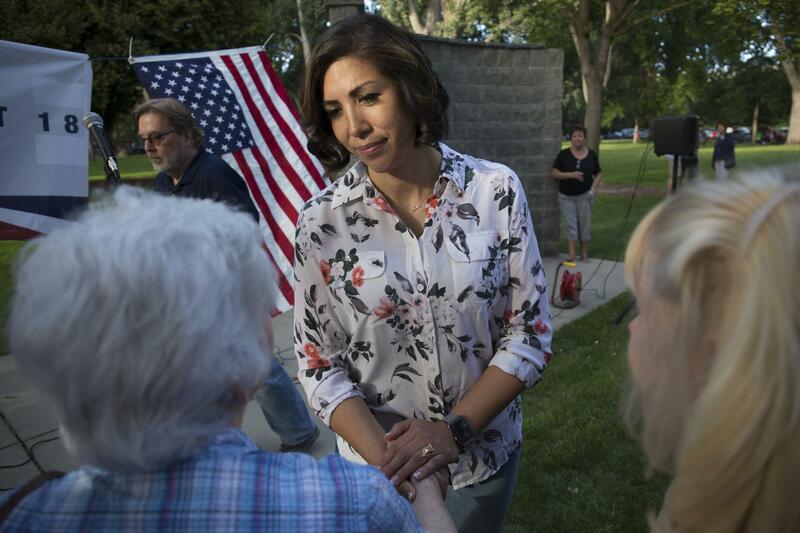 Democratic gubernatorial candidate Paulette Jordan greets attendees during the Idaho District 18 Democrats Campaign Kickoff BBQ in Boise, Idaho, Thursday, June 28, 2018. 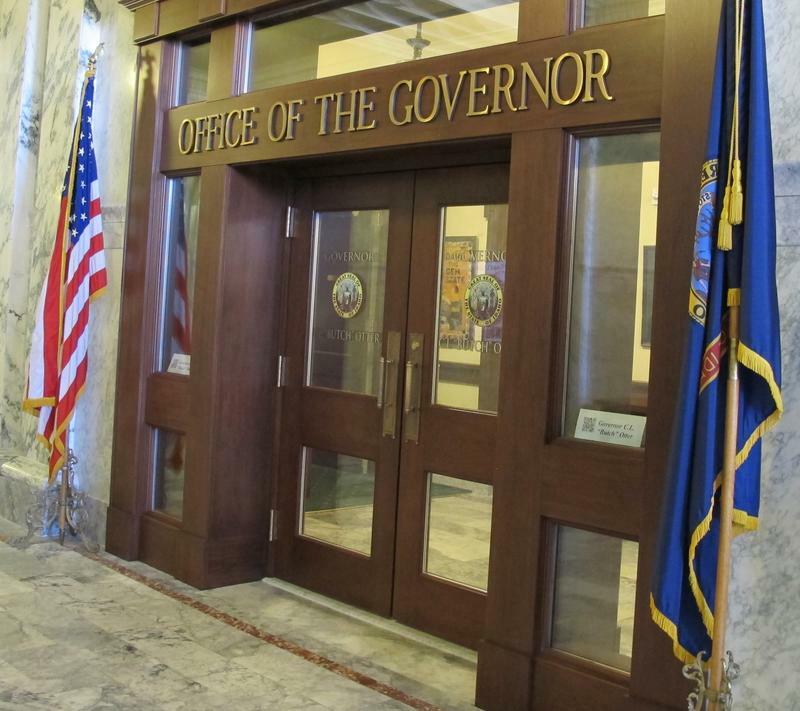 The Idaho Statesman first reported the resignation of campaign manager Michael Rosenow and Communications Director Lisa Newcomb. The Statesman later found the campaign's event scheduler, Leah Nemeroff, had also resigned. Rosenow tells the Statesman he signed a nondisclosure agreement and cannot talk about the reasons behind his resignation. Neither he, nor Newcomb returned requests for comment from Boise State Public Radio. These departures are the latest upheaval in what has been an unsteady roster of campaign staff. Jennifer Martinez, Jordan's former field director and Emily Mowrer, her treasurer, quit just days before the Idaho primary. At the time, Martinez told the Associated Press she had disagreements with the direction of the campaign, but didn't offer specifics. 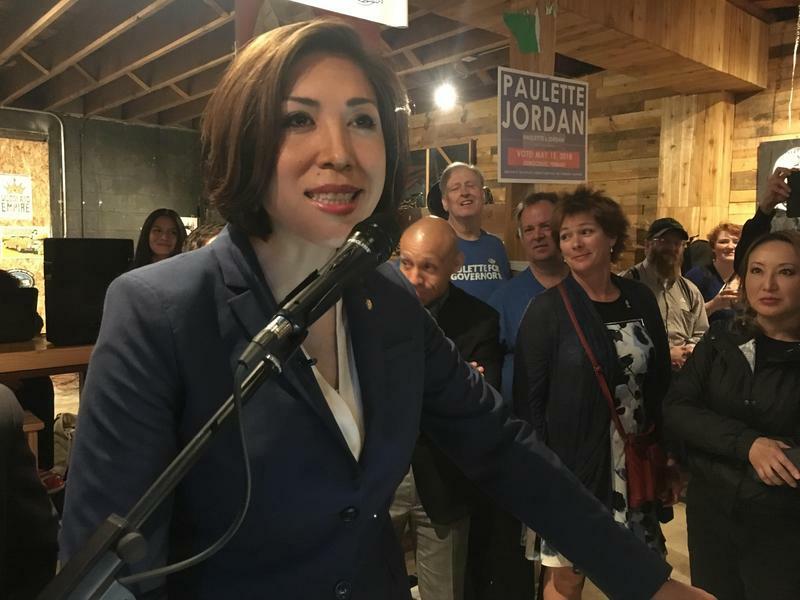 In an interview earlier this week prior to the resignations, Boise State Public Radio asked Jordan to respond to criticisms about her campaign, including staff turnover and her tendency to be late to events. “You tend to get the hard brunt of everything because you’re a woman and especially when you’re the first, or when you’re of color or when you’re from [rural America] or when you’re this or that, so there’s always an excuse,” Jordan said. She didn't immediately return requests seeking comment and her voicemail box was full. According to a former Jordan campaign worker, the staff wasn't required to sign nondisclosure agreements in the past. This staffer didn't know when that practice began. Nondisclosure agreements are used by businesses to most commonly protect trade secrets, like a manufacturing process, food recipes or information they’ve gathered, like data on customers. Famously, President Donald Trump required his campaign staffers – and even aides in the White House – to sign such agreements, which included requirements that these workers not publicly disparage Trump or his family. A former staffer with A.J. Balukoff, Jordan’s Democratic Party primary opponent, says no one was required to sign such agreements. Jordan faces Lt. Gov. Brad Little in the general election in November. Little’s staff aren’t required to sign nondisclosure agreements, according to his spokesperson, Ysabel Bilbao.